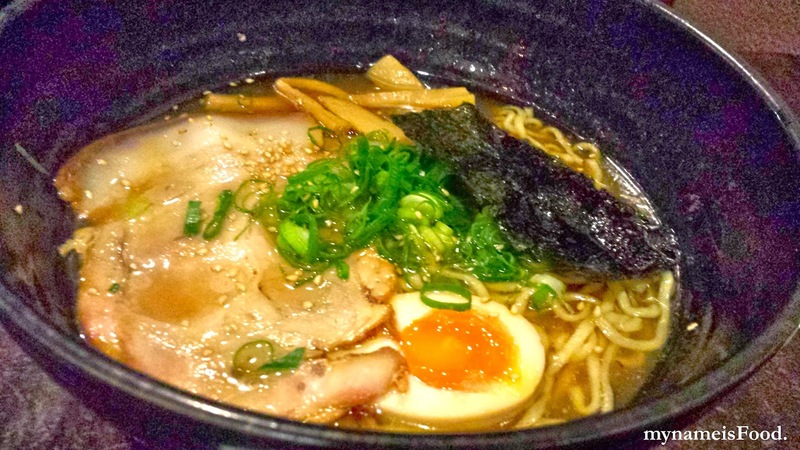 Taro's Ramen & Cafe, Adelaide St, Brisbane CBD - my name is Food. 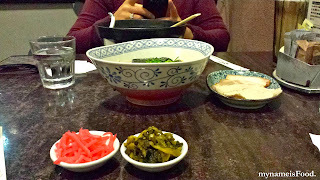 We ordered two different ramen along with a side of 'Charsiu Sampler' which consists of 1x Soyneck Charsiu and 2x Salt Loin Charsiu.. The difference between these two types of charsius is that the Soyneck Charsiu is a Bangalow Sweet pork, neck fillet which is slowly cooked in a stock after being prepared in the oven. The intention for this paticular charsiu cooking method is so that the meat juice remains in the meat but the marination seeps into the meat which gives the charsiu its juicy and soft texture. 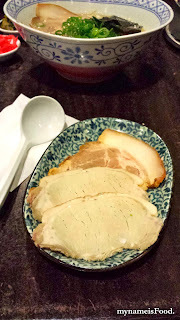 As for the Salt Loin Charsiu, it is also a Bangalow Sweet Pork however, it is a sirloin massaged with salt and then roasted in the oven and due to the fact that the salt loin is leaner than the soyneck, it is cut thinly. 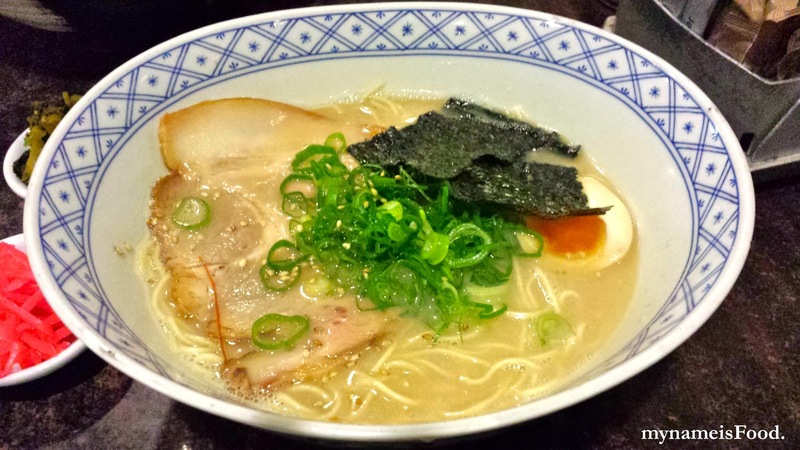 'Tonkotsu Ramen' ($14.8) is what I consider the signature ramen.. 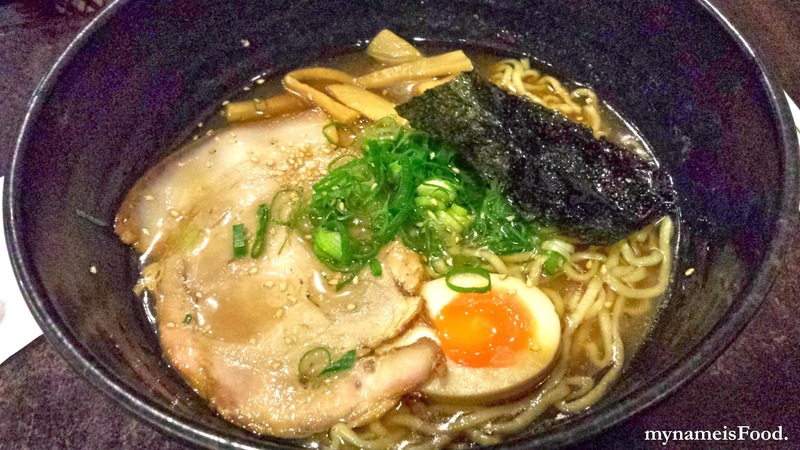 Most ramen places would have this ramen and I think I do prefer this ramen than the others... 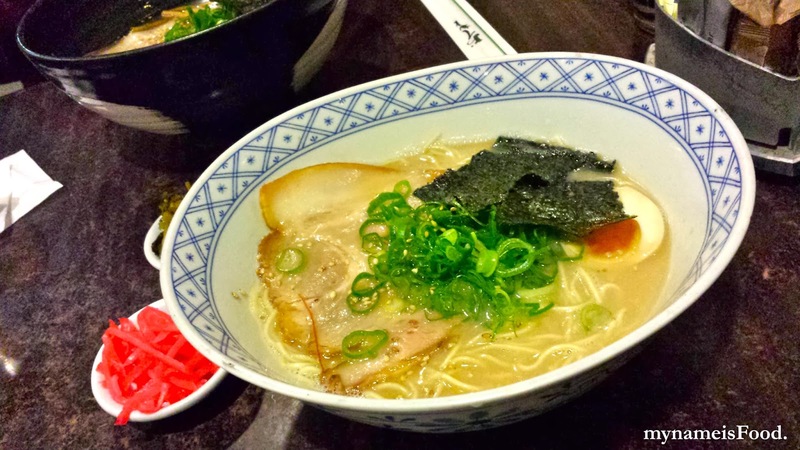 It has that hearty meat flavour and somehow has that tad creamy consistency too... Their ramen is made from super rich stock from Bangalow Sweet pork bone.. Their noodles are called Hakata noodles which simply is a Hakata style thin straight noodles.. Topped with charsiu, nori (seaweed), egg (omg... the egg is the best... they can somehow always cook it half boiled, i have no idea how they manage to keep the timing so good for all the eggs but ye..) and sesame seeds..
All topped with soy neck charsiu, egg, roasted nori, bamboo shoots, shallots and sesame seeds.. 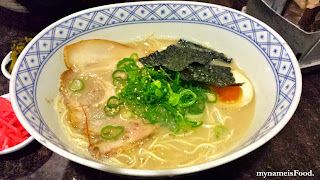 I still preferred the Tonkotsu ramen rather than the Shoyu..